Irkut Successfully Conducted MC-21 Second Flight Test. The second flight test of Irkut MC-21 has made its first departure, almost a year since the first test cell of the aircraft was launched into the air. The second plane, MC0003, numbered 73053, took off from the shipowner's facilities in Irkutsk on May 12 for a relatively short flight that lasted 1h 7min. Irkut says the plane underwent basic stability controls, landing gear retraction and wing configuration tests. The plane reached an altitude of 3,000 m and speeds of up to 215 km. He behaved normally and the planned tests were completed, says the shipowner. 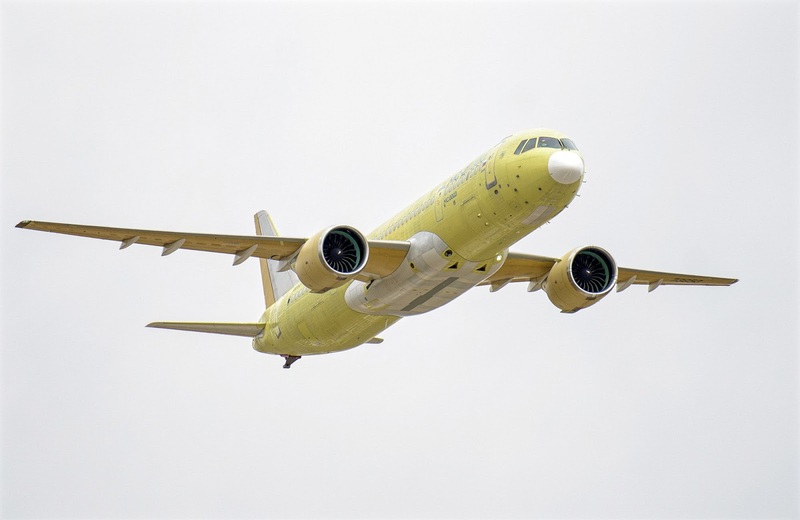 The fuselage notes that the development of the second MC-21-300, which moved from the assembly to the flight test division on March 25, has taken into account the results of the tests conducted with the first plane. "The flight of the second plane is a significant event that will ensure the timely completion of the flight certification tests," says the Minister of Trade and Industry of Russia, Denis Manturov. The first MC-21 initially flew on May 28 last year. Two flight test MC-21s, powered by Pratt & Whitney PW1400G engines, are currently supplemented by a third fuselage that undergoes static testing. Irkut is also carrying out "active preparations" for the twinjet production, says Manturov. The first MC-21 test, which is stationed at the Gromov Institute in Moscow, has been conducting a series of certification activities, including single-engine operations, take-off and landing stability, and extreme attitude management. Irkut carried out crucial wing strength tests last year, which led to the reinforcement of the structure of the MC-21. The president of JSC "UAC" and Irkut Corporation Yuri Slyusar said that the Aviastar-SP plant has started manufacturing panels for the first aircraft to be delivered to customers. "In recent years, the Russian aviation industry has undergone a profound modernization. 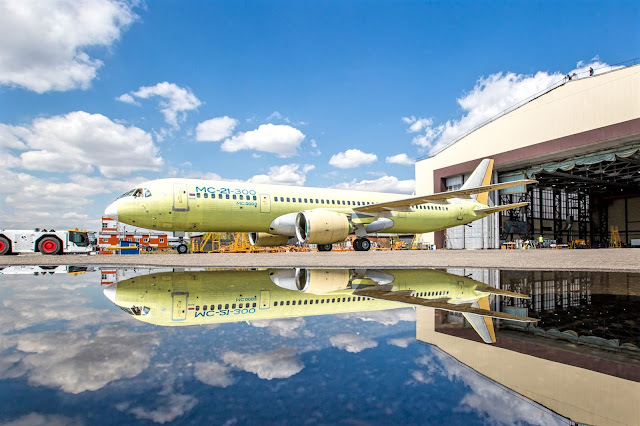 The most modern scalable assembly line for the newest civil aircraft was commissioned at the Irkutsk aviation plant. Within the UAC, fundamentally new competences have been developed in the field of the production of structures from polymer composite materials. Its widespread use is one of the main advantages of the airplane. The new high-tech production will ensure the development of the MC-21 program and other perspective aviation projects "- emphasized Yuri Slyusar. The first MC-21-300 aircraft undergoes flight tests at Flight Research Institute aerodrome n.a. M.M. Gromov (city of Zhukovsky, Moscow region). The tests confirm the accuracy of the technical solutions. In particular, the stability and controllability of the aircraft were evaluated, its launch and landing characteristics were determined, several modes of operation of the power plant were tested, including the start-up of the engine in flight, and the characteristics of the withdrawal of the aircraft were determined. plane of deep banking functions. A lot of tests are done in the field within the program. In TsAGI, MC-21 resistance tests are carried out. The composite wing box tests (completed at the end of 2017) confirmed their strength enough for flight operations in the limit modes. The tests of compound machining units have confirmed their resistance to the maximum possible loads under the most aggressive operating conditions.